The stock market is a marvel of information asymmetry. The total amount of information which can be known regarding any specific stock exceeds the storage capacity of the human brain, therefore any trader will always be operating with partial information. There are simply too many individual pieces of data which can affect a companies share price. No one can know everything about a company, its employees, its customers, its competitors, its suppliers, technological shifts which could affect the business, regulatory shifts which could affect the business, etc… Any fact from any of these domains can push a share price up (or down) and no one can know all of these facts. However, some people know some of these facts, while other people know other of the facts. A seller may know one thousand facts out of a million total facts, the buyer may know two hundred of the facts which the seller knows and three hundred of the facts which the seller does not know. In practice, it is simply impossible for two humans to have equal knowledge of topics which involve an effectively infinite number of details. Some forms of information asymmetry are illegal. The illegal use of non-public information is referred to as insider trading. The definition of insider trading varies between nations and it also appears to evolve constantly within nations. What might be legal today might not be legal tomorrow. In general, insider trading requires either that you are an insider (an owner, director, or employee of the corporation) or that you received a tip from someone who is. 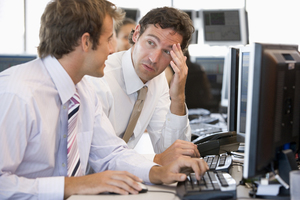 To be considered insider trading, there must be a connection between the two parties, although the connection does not have to be financial. Sharing insider information with your brother-in-law or trading tips with another broker both make both parties guilty of insider trading. On the other hand, a person who overhears an insider tip in a restaurant is not guilty of insider trading because they are not connected to the person who accidentally broadcast the information. The US Supreme Court ruled in Chiarella v. United States (1980) that an employee of a print shop who made stock trades based upon information in documents he was printing was not guilty of insider trading. However, that Supreme Court ruling came several years after the SEC effectively destroyed Vincent Chiarella’s life. United States v. O’Hagan (1997) created an exception to the Chiarella standard, ruling that James O’Hagan was guilty of insider trading because he had misappropriated the insider information he utilized from the law firm where he worked. Do not share tips from a company where you have inside information. Do not use tips from a person who has insider information if you have any connection with that person. Do not use tips derived from your employment. If you follow these tips, you should be fine until the Congress changes the laws again, the SEC changes the rules again, or the court redefine the meanings of the existing laws and rules — again. I believe you just touched upon the tip of the iceberg. I definitely just touched on the tip of the iceberg. I actually deleted half the article before publication, as the rest failed legal review. The SEC and the courts are _making law_ in ways that the American founding fathers never intended. The techniques used by smart traders today are being targeted by the SEC and the courts for future prosecutions. This isn’t “insider trading”, this is trading based upon knowledge which is “non-public”, but available to anyone who does aggressive research. I would not want to recommend any investing techniques to my readers which could cause the SEC and the courts to make an example out of them. On the other hand, without this “gray market” information, any trader will be operating in a significantly disadvantaged position. If I recommend my readers trade without this information, I am not doing them any favors either.